I haven't been doing much sewing lately. 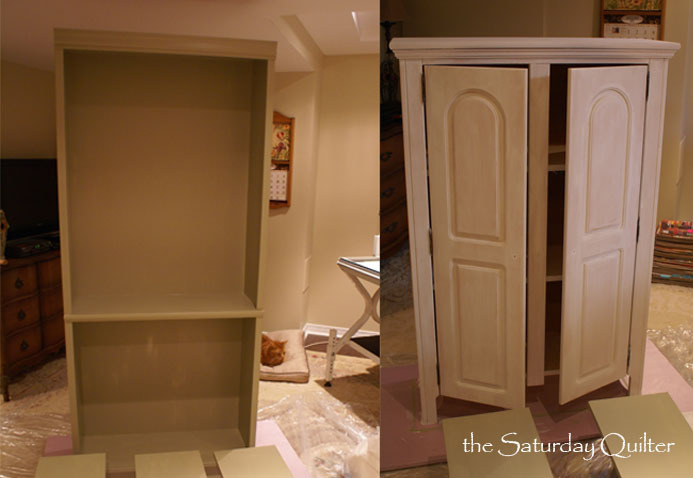 I've been spending my spare time painting two unfinished pieces of furniture - a bookcase and a small cabinet. I've had them for ages but never got around to painting them until now. 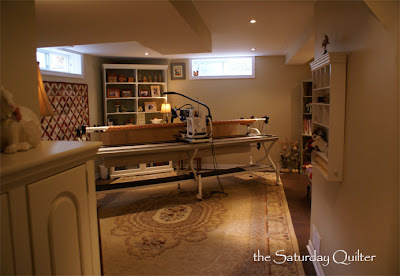 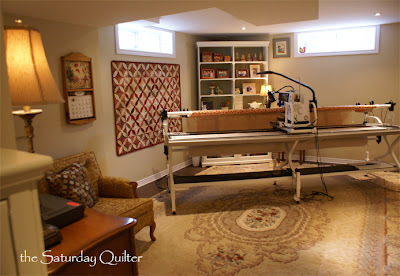 A couple of posts back I showed you my sewing room, so I thought you might also like to see where I quilt. Set up in the basement I have a Bernina quilt frame with my Bernina 830 sewing machine on the carriage. 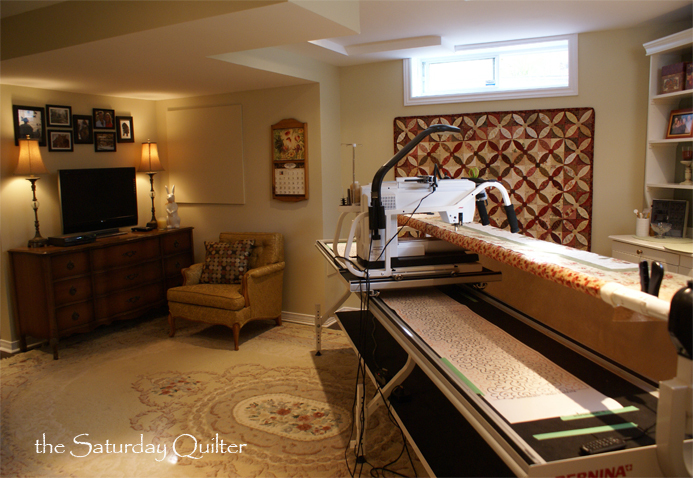 On the two bottom shelves of the now green bookcase I've put my finished quilt tops that are waiting to go on the frame. The TV corner is set up for my hubby who likes to join me downstairs when I'm quilting. 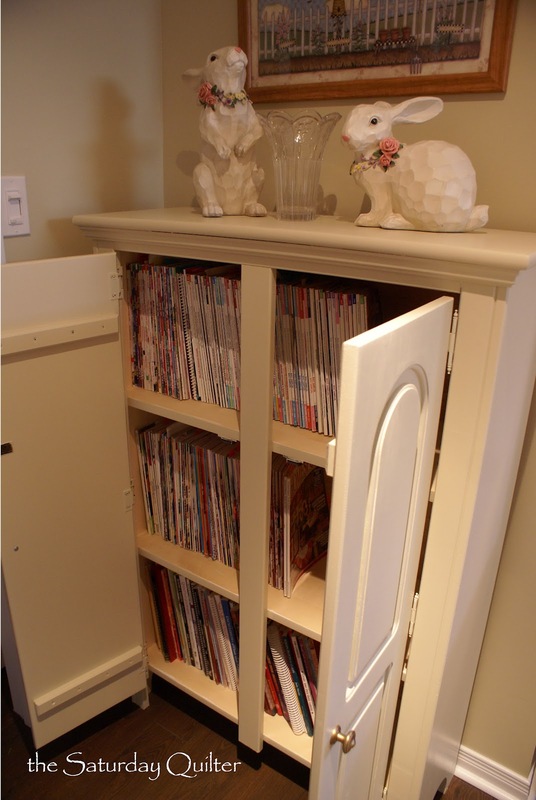 The newly painted white cabinet holds my collection of quilt magazines and books. 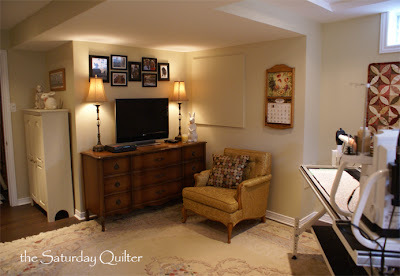 On the frame is a quilt I made several years ago from a pattern by The Vintage Spool. 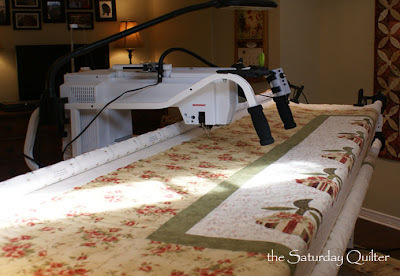 I haven't started quilting it yet but I will post photos of progress once I get started. These are great photos. 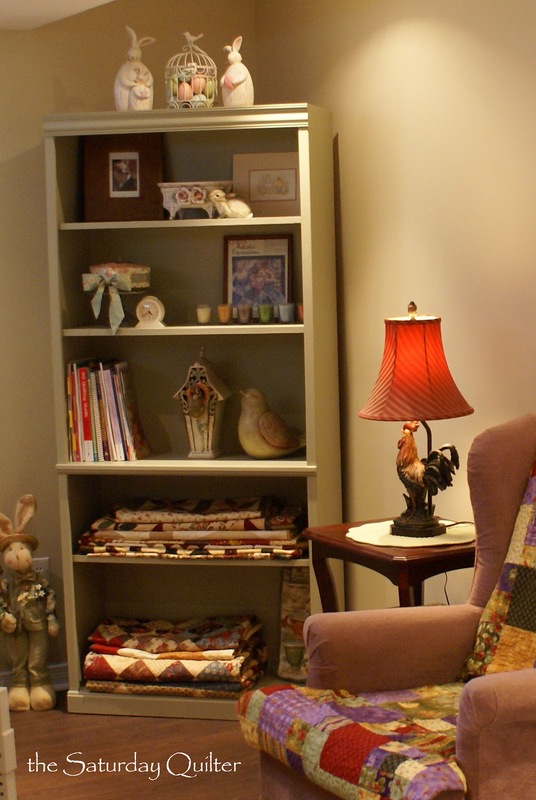 They truly capture the coziness of your space. All the work you've put into it has made it really gorgeous.